On Monday, October 22, 2018, the City of Austin issued a boil water notice due to high levels of silt and debris in water supply lakes as a result of recent flooding. As of today, city officials estimate it could take up to 14 days before the water system settles. Since the water restriction notice has been in effect, there has been a run on bottled water at Austin-area stores. Shipments of water are coming in from San Antonio to help stabilize the system. TFFA is monitoring the impact on convenience stores throughout Central Texas. Bandera, Bastrop, Baylor, Blanco, Brown, Burnet, Callahan, Cameron, Coleman, Colorado, Comanche, Eastland, Edwards, Erath, Fayette, Gillespie, Hamilton, Haskell, Hidalgo, Hood, Jim Wells, Jones, Kendall, Kerr, Kinney, Kimble, Lampasas, La Salle, Liberty, Live Oak, Llano, Madison, Mason, McMullen, Mills, Nolan, Nueces, Palo Pinto, Parker Real, San Jacinto, San Patricio, San Saba, Shackelford, Somervell, Stephens, Taylor, Throckmorton, Travis, Uvalde, Walker, Willacy, Williamson , and Zavala. As a reminder, after a disaster has been declared by the Governor, price-gouging laws take effect. The Office of the Attorney General has the authority to prosecute any business that engages in price gouging — misleading or deceptive practices carry with them fines up to $250,000. If you operate a business in one of the counties listed above, please take caution when labeling water for sale. As an example, water sold individually at $1.50/bottle and is packaged in a case of 20 should have proper signage indicating $30/case reflects the normal price per bottle. With nearly 890,000 residents affected by the Boil Water Notice, large grocery stores have seen shelves completely wiped out of bottled water. If you are a convenience retailer, please pay close attention to your bottled-water supply and restock as quickly as possible. 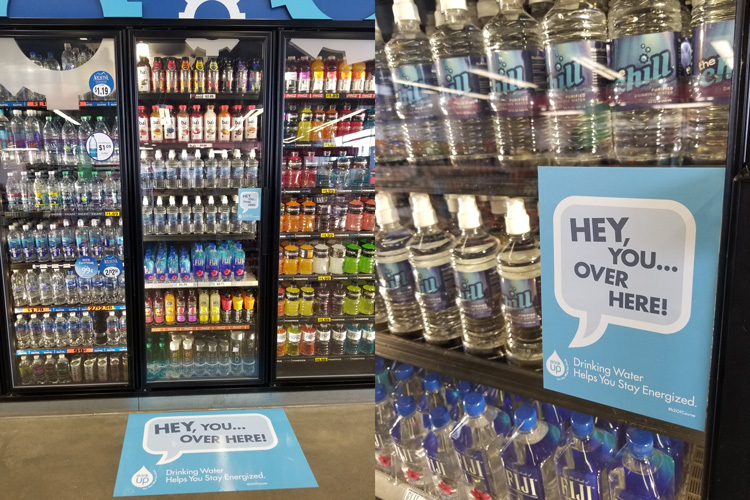 Likewise, grocery distributors and bottled water providers are encouraged to maintain frequent communication with their customers to ensure an adequate supply is provided to meet increases in demand. Convenience stores play a crucial role as neighborhood markets that are frequented by friends, family, and the local community. In times of crisis, it is important we work together to ensure convenience stores operate as smoothly as possible to continue serving customers during times of need.